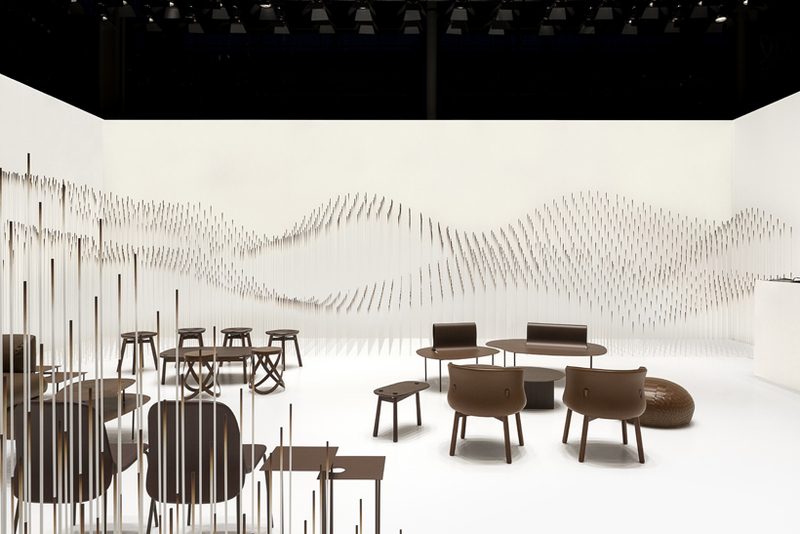 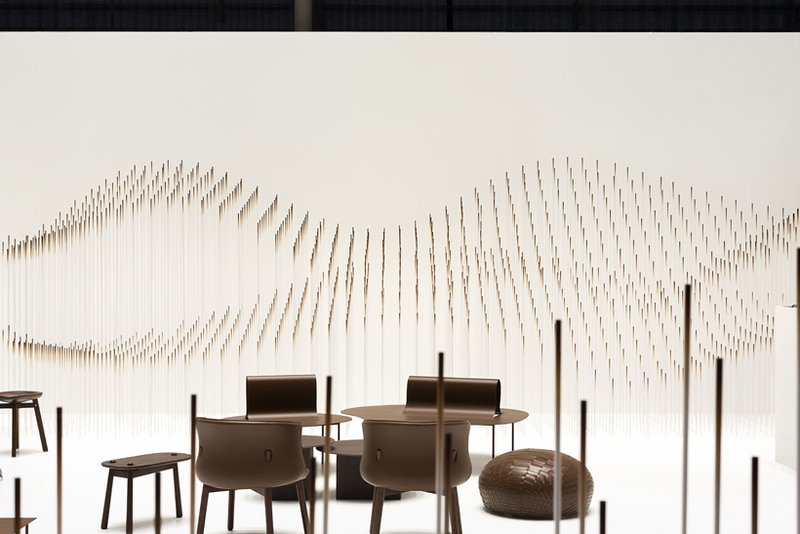 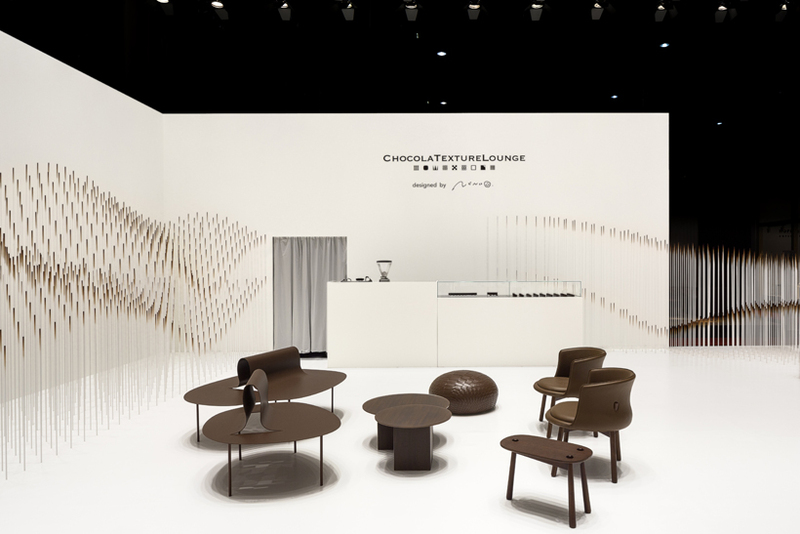 A limited-time-only chocolate lounge designed in time for the awarding ceremony of “Designer of the Year Masion et Objet 2015”, an interior goods/decoration international trade show taking place in Paris biannually. 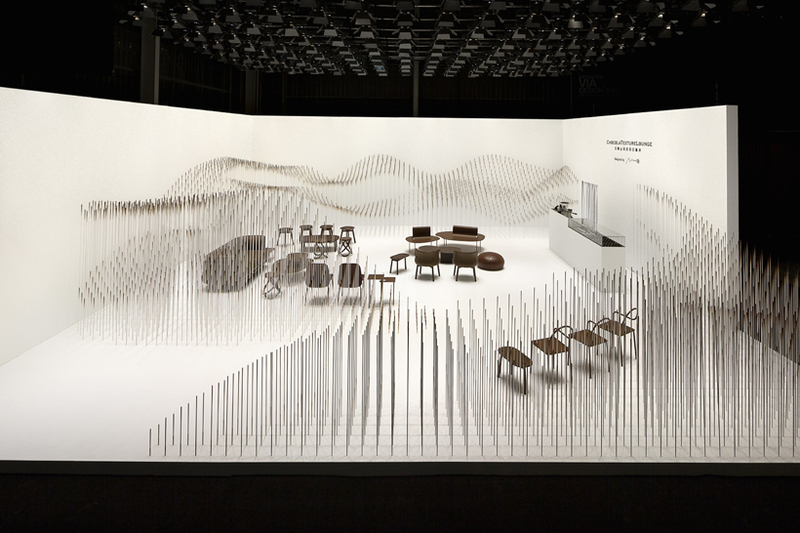 400 “chocolatexture” chocolate sets designed for this purpose are to be on sale for a limited time, and in order to allow on-the-spot tasting, several pieces of furniture announced in the past by nendo which had a “soft melting feel” were selected from across companies such as Cappellini, Desalto, Glas Italia, Emeco, Offecct, and Moroso which were custom-coloured to resemble chocolate and were placed inside the lounge. 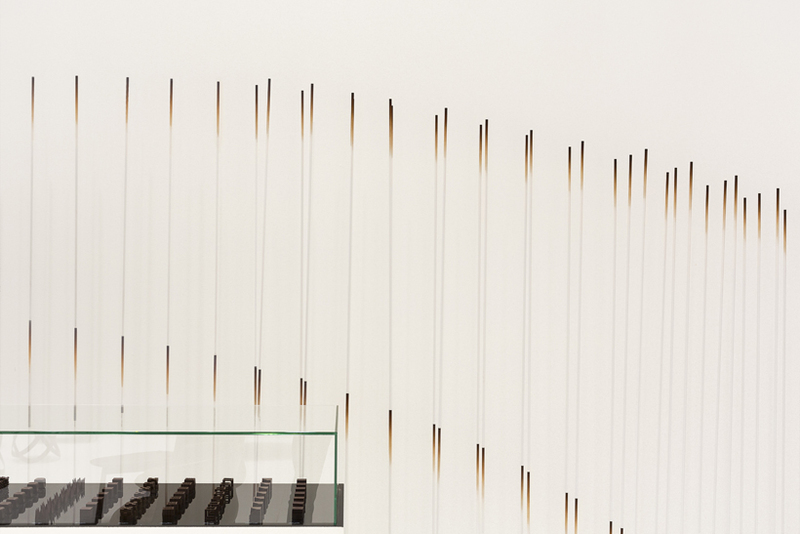 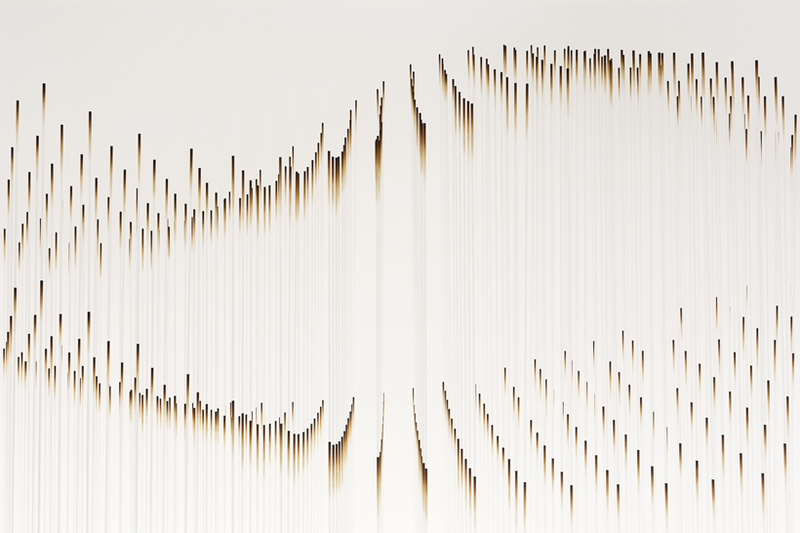 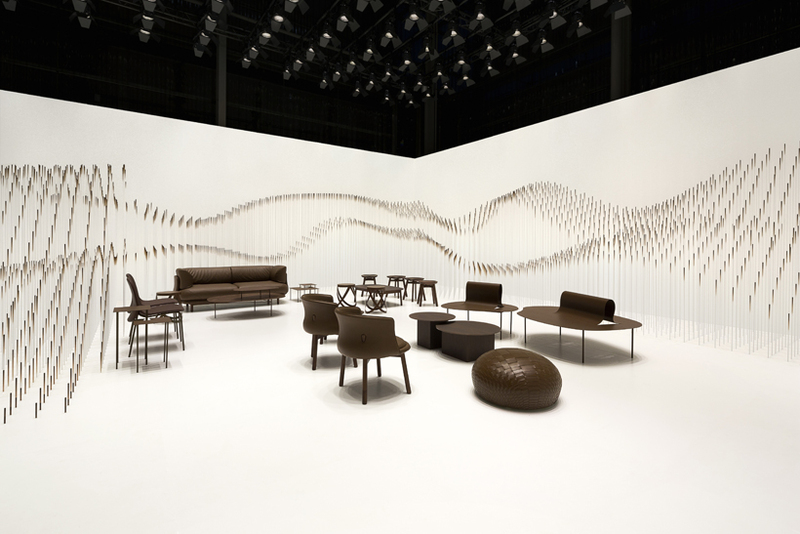 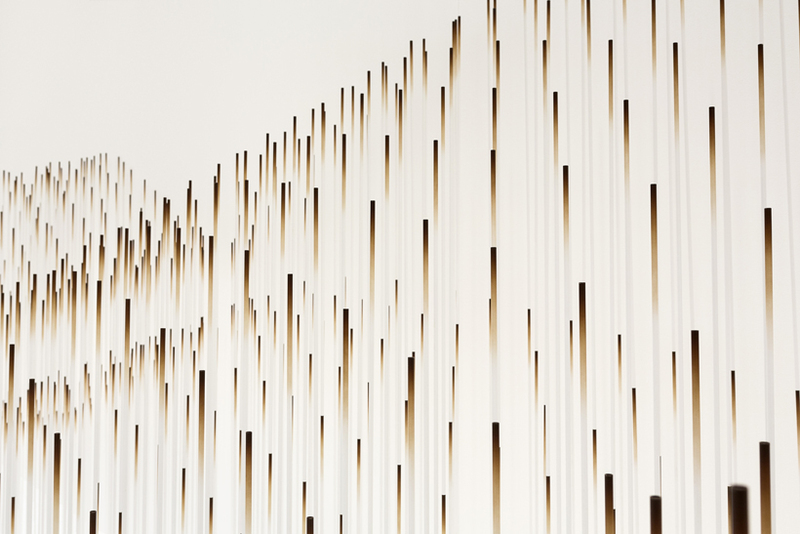 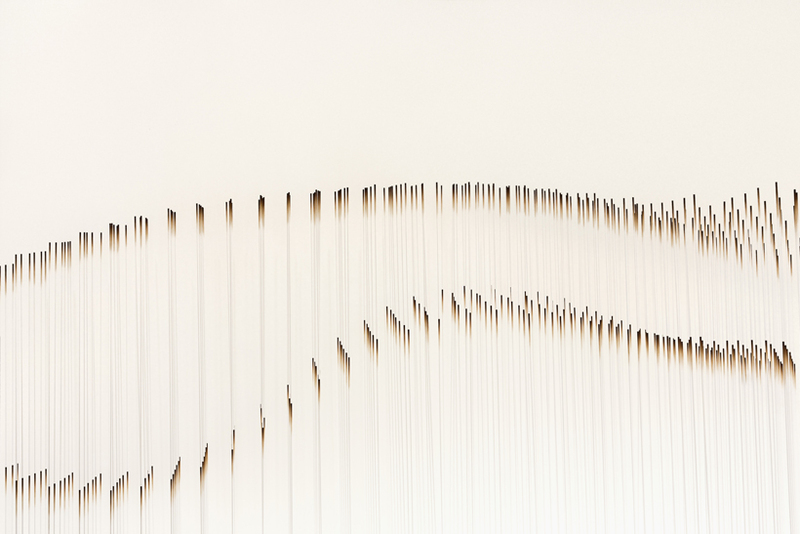 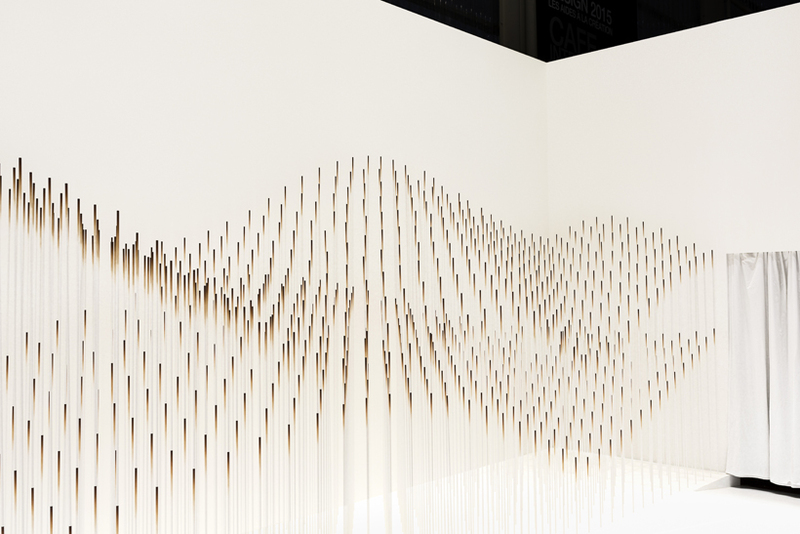 The lounge area is surrounded by a forest of 2,000 8mm-thick aluminium pipes, each of which is carefully painted at the appropriate height in chocolate-coloured gradations, creating the feeling of one being surrounded by “a rippling large molten chocolate wave”. 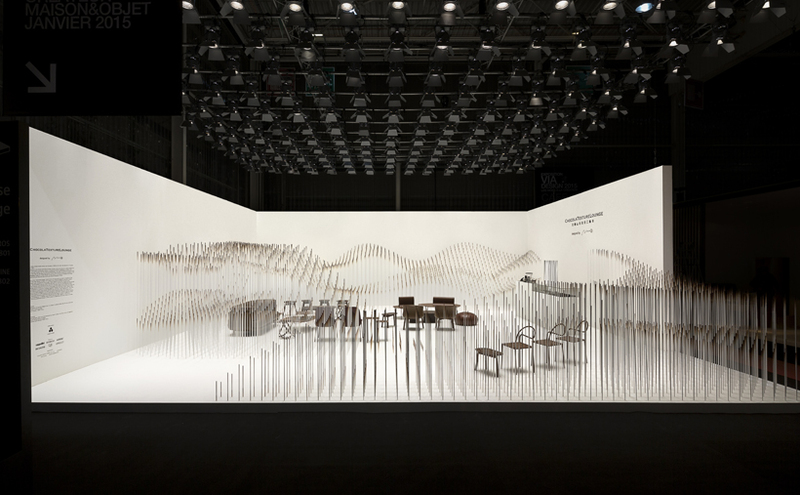 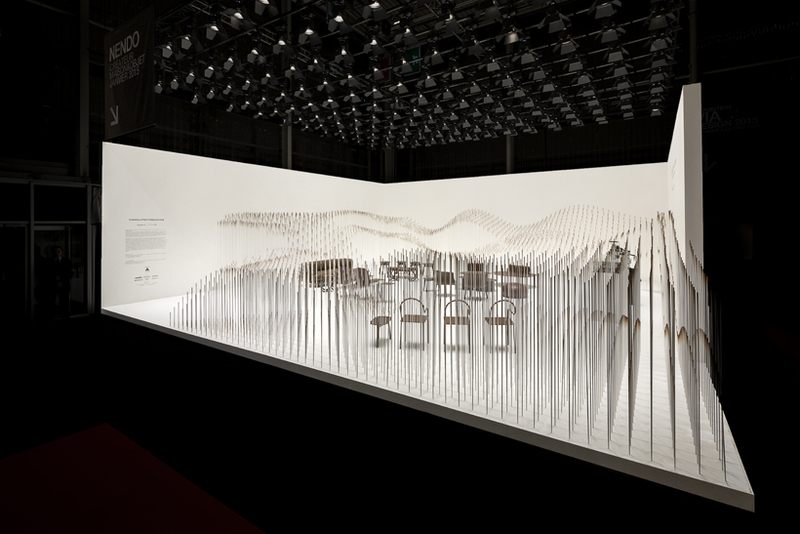 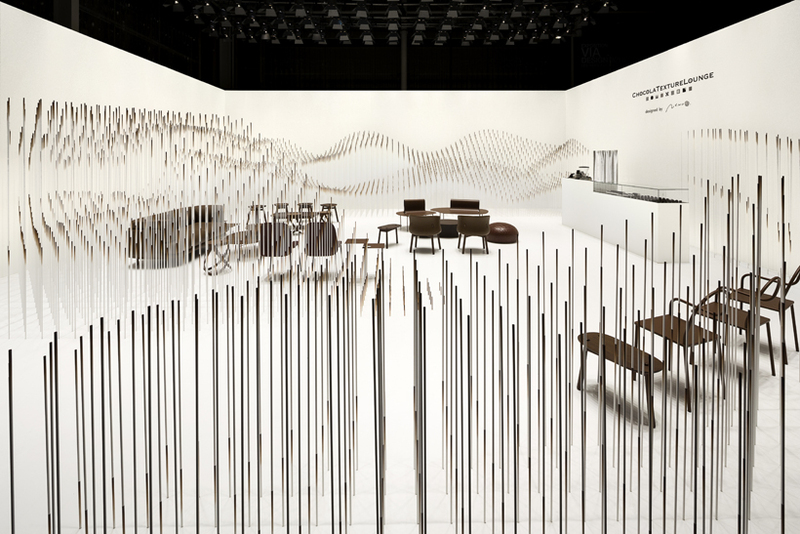 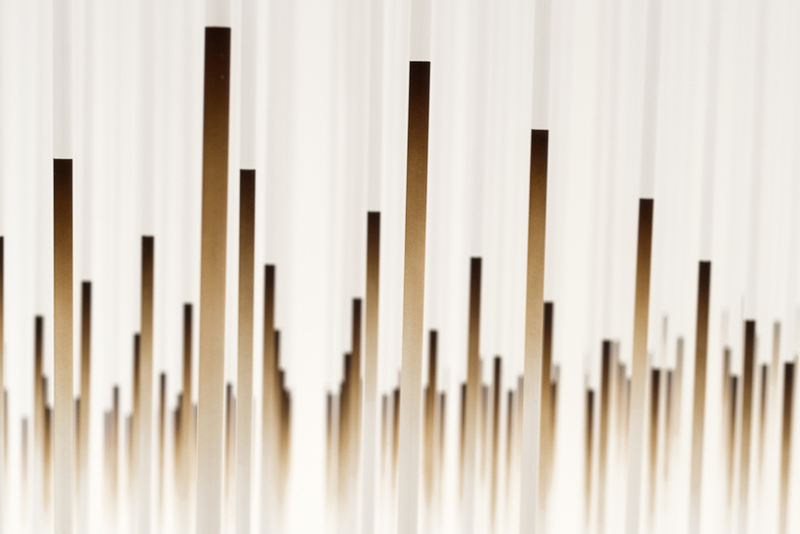 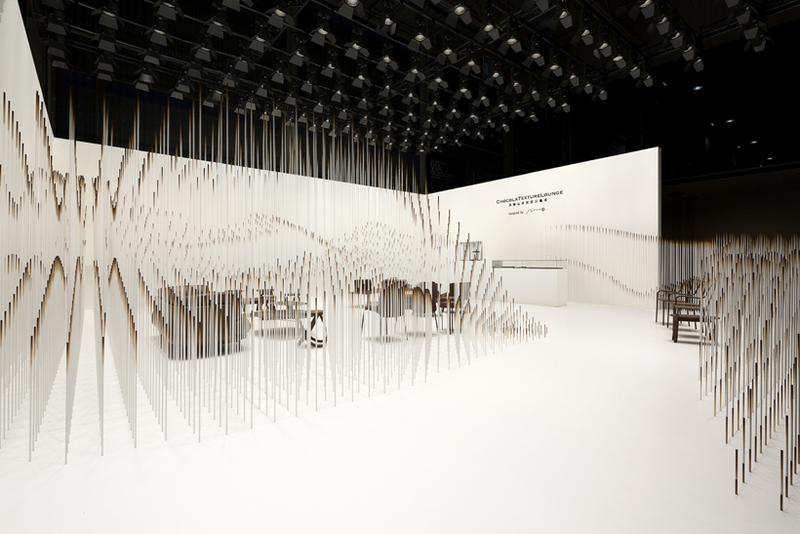 The chocolatexture lounge is neither a café, nor an exhibition, nor an installation, but a place to experience and enjoy nendo through the five senses.